Apple may be planning to purchase half a city block in downtown Reno, Nevada, for the purpose of creating a purchasing and receiving facility, reports Reno's KRNV. 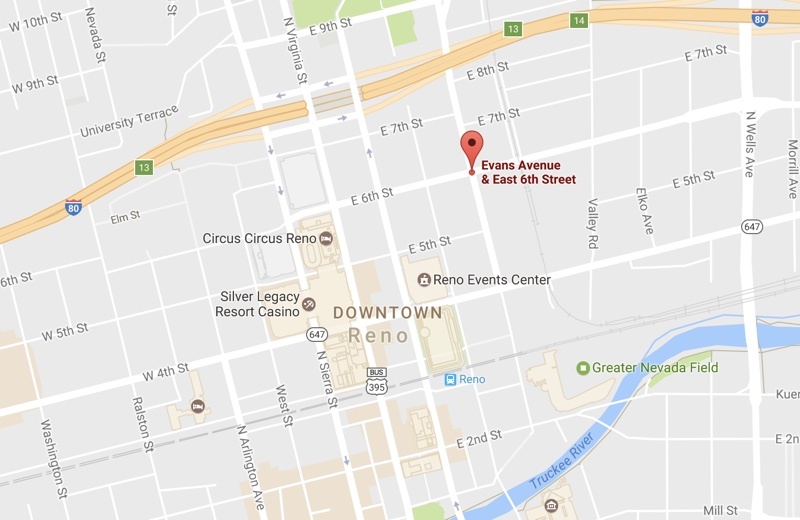 The Reno City Council will discuss Apple's plans to purchase the property, located at 6th Street and Evans Avenue, at a Wednesday meeting. Apple is planning to build the facility alongside a planned data center at the Reno Technology Park, which Apple has been pursuing since 2012. A filing from an assistant city attorney states that Reno and Urban Development have a reimbursement agreement to allow Apple to buy the land. The agreement would have Apple getting sales tax reimbursements through Urban Development for the cost of buying and adding to projects in the city's Téssera district. Apple already operates one data center in Reno, and has been expanding on it for several years. When finished, the site will encompass 14 buildings and 412,000 square feet. Apple is also planning to build a second data center adjacent to its existing center and requested permission from the city for the project back in early 2016. What exactly is a 'purchasing & receiving facility'? I'm guessing it's a fancy word for a warehouse. The agreement would have Apple getting sales tax reimbursements through Urban Development for the cost of buying and adding to projects in the city's Téssera district. Something is very, very wrong when the world's most valuable, most cash rich company gets a special tax break to open a building for its normal business operations. The European Union prohibits member countries from providing illegal state aid. That's to help prevent, or at least to curb, local governments from engaging in pointless, zero sum bidding wars for corporate affections. Apple is entangled in exactly that sort of dispute right now, in Ireland. (And most likely Apple will have to cough up a substantial amount of corporate income tax.) The United States needs a similar limitation on state and local government competition. Apple was going to build this warehouse...excuse me, "purchasing and receiving facility"...somewhere. If not in Reno then in Carson City, Provo, Santa Fe, or somewhere else. Now what's happening is poor and middle class residents of Reno who pay sales tax are subsidizing the world's richest company. They're getting screwed yet again. Those who can least afford paying for Apple's municipal services, including police and fire protection, are paying. It's yet more upward transfer of wealth and income, from the poorest to the richest, and with Reno's city government as the conduit. This nonsense has got to stop. I don't necessarily blame Apple for playing the game as it exists, but government should not be playing these games at all. The good people of Reno and of every other city and town deserve better governance.